KP and Sanga together ???? This is very Important game for us. 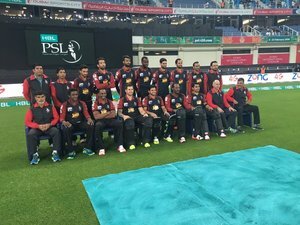 Qalandars are all set to face Gladiators! First Ball And Put Away For Four. Gayle ka pehla choka ???????? Is Plastic kohli playing today?? 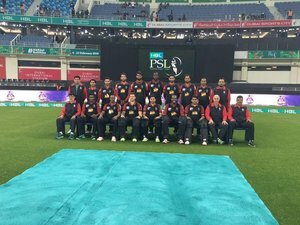 بابا جی کہہ رے نےجیہڑا اج لہور قلندر نوں سپورٹ نہ کرے بڑا وڈا .....آہو ??????? ?